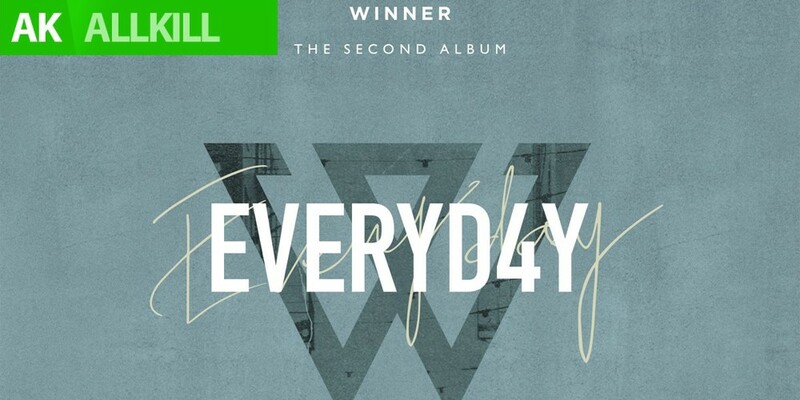 WINNER grab their first certified all-kill this year with everyone listening to their new track 'EVERYDAY'! 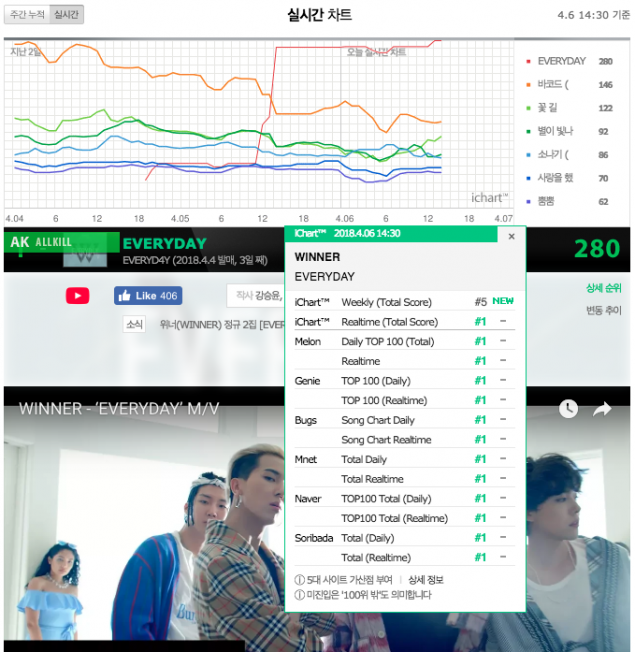 WINNER have grabbed their first certified all-kill with their newest title track, thanks to everyone listening to it "EVERYDAY"! The track has topped all 6 major domestic music charts in both the real-time and daily categories, earning the song a #1 spot on the iChart's real-time total score, as of April 6 at 2:30 PM KST. This is approximately 2 days after the release of WINNER's 2nd full album 'EVERYD4Y', this past April 4 at 6 PM KST. Congratulations, WINNER and Inner Circle!